President: Jérôme Dupras is an assistant professor at the Département des sciences naturelles of the Université du Québec en Outaouais and a researcher at the Institut des Sciences de la Forêt tempérée. He holds a Ph.D. in Geography and a BA in Biochemistry from the Université de Montréal, and completed a postdoctoral fellowship in the Department of Biology at McGill University. He is also very involved with environmental NGOs: in 2012 he founded the Green Belt Movement, a coalition of environmental organizations that advocates for the creation of a green infrastructure in the Montreal region, and he is a member of the scientific circle of the David Suzuki Foundation since 2011. He is also known as a founding member of the musical group the Cowboys Fringants and chairs the foundation of the group dedicated to the protection of the environment. Secretary/Treasurer: Dr. Lynda Gagné, CPA (CGA) is an Assistant Professor at the School of Public Administration at the University of Victoria. Prior to joining the School, she taught accounting and economics at Simon Fraser University, the University of British Columbia, and Columbia College. She also worked as an accountant in the non-profit sector for several years, and for the Yukon Government. She teaches public sector financial management, and economic evaluation with a focus on health and environmental applications. Her current research interests include cost-benefit analysis of environmental investments, environmental epidemiology, and small scale sustainable agriculture and food security. VP – Communications: Katie Kish is a PhD candidate at the University of Waterloo’s Department of Environment and Resource Studies. 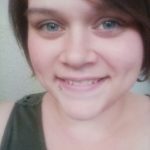 She is a Research Fellow for the Waterloo Institute for Social Innovation and Resilience and Associate Publisher & Online Editor for Alternatives Journal. Her background is in systems thinking and complexity science which she applies to her current research on exploring radical and disruptive political economies. 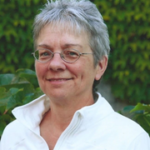 She also does extensive work in relation to experiential and long-view teaching such as founding the UW Env. 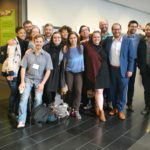 Experiential Learning Group with a Teaching Innovation Grant, held the position of Teaching and Learning Associate for the UW Faculty of Environment, and, in 2014, founded the annual UW Faculty of Environment Festival to showcase research and encourage hands-on learning. When she can get away from her computer, Katie hikes with her dog and builds/colours/writes/sings/dances with her daughter. VP – Research and Education: Vijay Kolinjivadi is an ecologist by training (B.Sc. Edinburgh University) and holds an MSc in Environmental Policy and Regulation (London School of Economics and Political Sciences). In 2015, he completed his PhD at McGill University in environmental valuation within watershed settings in both South and Central Asia, analyzing the theory and empirical design of ecosystem service policies and especially payments for ecosystem services (PES). His research adopts both an ecological economics and political ecology perspective by problematizing predominantly neoliberal logics of “selling nature to save it” as well in exploring the long-term socio-political, institutional, and relational aspects of the ecosystem service approach. He is currently a post-doctoral researcher at the Université du Québec en Outaouais (UQO), assessing Canada’s longest-running PES initiative (the Alternative Land Use Services-ALUS) His research is transdisciplinary in nature and adopts elements from degrowth scholarship, environmental humanities, and decolonial development pathways for appreciating the possibilities of diverse and continuously evolving human-nature relationships. He is also a writer for the International Institute of Sustainable Development’s “Earth Negotiation Bulletin.” In his spare time, he enjoys hiking, gardening, photography and riding his penny farthing bicycle. VP-Programs: Sophie Sanniti is currently pursuing a PhD in Ecological and Social Sustainability at the University of Waterloo. She holds a B.E.S. from UWaterloo in Environment and Business studies and a Masters in Environmental Studies from York University which she completed in partnership with E4A and CUSP. In questioning the growth imperative, Sophia is fascinated by the psychological motivations behind humanity’s seemingly insatiable desire to accumulate money and stuff. Drawing upon cultural anthropology, social psychology, and psychoanalysis, Sophia’s research explores the role of unconscious, ‘non-rational’ drivers of human values, beliefs and behaviour with a particular emphasis on consumerism. Her broad objective is to understand the unconscious dynamics behind decision-making in order to develop effective interventions that can empower climate-conscious communities and generate more sustainable societal consumption patterns. Past President: Michelle Molnar is an Environmental Economist and Policy Analyst at the David Suzuki Foundation. 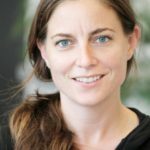 She leads the Lower Mainland Natural Capital Project, which focuses on the conservation of natural capital using various tools of ecological economics, policy analysis, and public outreach. She also teaches Introduction to Ecological Economics at the British Columbia Institute of Technology through the Sustainable Business Leadership Program. Michelle has an M.A. in Public Policy from Simon Fraser University, an M.A. in Philosophy from the University of Western Ontario, and a B.A. in Economics and Philosophy from the University of Western Ontario. 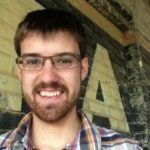 Programs Officer: Caleb Gingrich Regehr has a BSc in Systems Design Engineering from University of Waterloo, and is now pursuing a Masters in Natural Resource Sciences at McGill. He has studied the technological limitations of renewable energy technologies and worked with the practicalities of installing solar panels. He has studied agroecology and worked on an organic vegetable farm. He has studied corporate sustainability movements (Fair Trade, Cradle to Cradle) and worked as a water and energy efficiency consultant. Caleb’s research is on the carbon cost of the necessary global transition to a low-carbon socially-just energy system. 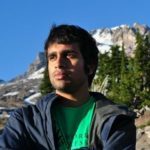 His work begins with assessments of previously published plans for a global renewable energy system, and incorporates life cycle assessment data of energy technologies to estimate the carbon emissions required to build a new energy system. 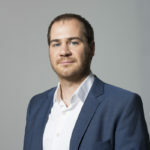 Saskatchewan: Brett Dolter has a master’s degree in resource management and environmental science from the University of British Columbia, a master’s in economics from the University of Victoria and a PhD in ecological economics from York University. He is currently a researcher affiliated with the University of Ottawa. In his fellowship, Brett is looking into the role of the electricity utility in facilitating distributed renewable energy. 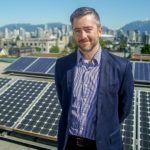 He’s researching the competitiveness impacts of carbon pricing and determining the impact of deliberative dialogues on Canada’s energy future.